Eat. Work. Sleep. This is the daily routine of many Americans. Some are able to squeeze time in for a social life, and even fewer do so for exercise. With work at the top of on our to-do lists (or even taking over our to-do lists), it's easy to compartmentalize exercise as an un-ideal and unproductive task. Effective exercise doesn't have to look like hours spent at the gym or around the track. Those activities can be wonderful, but are not mandatory for holistic health. In a New York Times article titled, "One Twin Exercises, the Other Doesn't," Dr. Kujala [a professor of sports and exercise medicine at the University of Jyvaskyla] explained how, "Even if the input from our DNA and upbringing urges us to skip the gym, we can 'move more.'" Based on this study, he says, we can "rapidly and substantially improve the condition of our bodies and brains." We care for our mental, emotional and physical well-being when we take a few moments to exercise each day. While waiting for the shower to warm up. Waiting for the coffee to brew. This one is especially relevant for #4 since you're likely to be in a kitchen or near a chair. Waiting for your straightener or curler to heat up. Waiting for your eggs to fry or bread to toast. The exercise: Simply stand on your tiptoes and slowly lower your heels without touching the ground. Once your heels get close to touching the ground, raise them back up and repeat. How many? Do 1-2 sets of 30-50 calf raises. This should take less than 3 minutes to do. The exercise: Place you feet shoulder-width apart. Squat down & stand back up. Focus your weight towards the back of your heels for balance. You can also extend your arms out in front of you to help keep your back straight, which will give you better form. How many? Start with 2-3 sets of 10 squats in the morning, and feel free to increase as your legs grow stronger. There are many different ways to do a push up. You can do a traditional push up, a knees-down push up, a standing push up, or (if you want to challenge yourself) a spider push up. Traditional push up: Put your weight on your hands and toes. Push down at a 90 degree angle and come back up. Make sure to keep your back straight for better form. Knees-down push up: Assume a traditional push up position, but instead of balancing on your feet/toes, use your knees. Standing-up push up: Lean your hands against a wall or a bed at about a 45 degree angle or greater (a greater angle adds difficulty). Spider push up: Start in a traditional push up form. Lower your body down. As you push back up, pull one of your knees to your side so that it's parallel to your body. Switch between your two legs. Pushing back up and pulling up one of your knees should be simultaneous. Start with 1-2 sets of 10 push ups each morning. Feel free to do more once you feel your arms, legs, and core strengthening. *See graphic on right for visual demonstration. Face your back to the chair. Use your arms (specifically your triceps) to lower yourself. Form a 90 degree angle with your elbow. Keep your legs closer to the chair for low intensity, and farther away for high intensity. How many? Start with 2-3 sets of 10 triceps dips and increase your amount as you feel your triceps and core strengthening. Sometimes the best habits are formed by small steps. We at deliberateLIFE hope that this list of tips will encourage you to care for your body and get movin'. 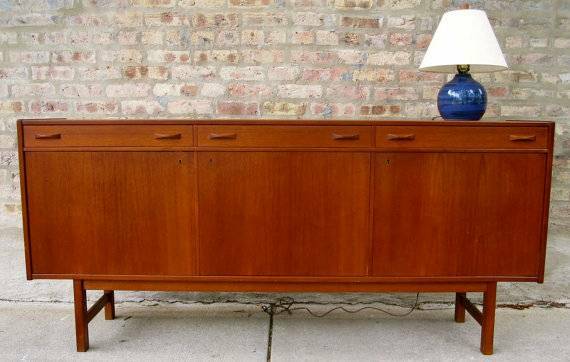 Why Buy Local Vintage Furnishings? We all know that the things you choose to bring into your home make a difference. Where they are made, how they are made, how the makers are compensated—for the conscientious consumer, factors to consider can be overwhelming, paralyzing even. I'm lucky, I suppose, that when I started on my path as a sustainable designer, there weren't a lot of options. "Green-washing" wasn't a thing, yet. I didn't have thousands of companies vying for my sustainable spend. At the time, it was very clear to me that buying secondhand furnishings was the best, easiest and most efficient way for me to produce sustainable interiors. Recently, I accepted a stint as the Guest Editor for Trove Market—an app and website that helps people buy and sell vintage or pre-loved furnishings, locally. Theirs is a mission that definitely resonates with me. Supporting your neighbors = good for your local economy. Buying something from someone nearby, rather than having it shipped from overseas = good for the planet. See where I'm going, here? Also, I admit it, I like instant gratification. Finding something local means I don't have to wait. I can go pick it up today! In this current era of disposable furnishings (need I even mention the "I" word?) it feels incredibly satisfying to find a great old piece that has already stood the test of time and has plenty more years to go. Not to mention that our design forefathers were pretty damn fantastic. There's a reason mid century modern never goes out of style. Nothing is worse than spending good money on your furnishings, only to see the exact same pieces all over Instagram. I can think of a particular rug that, last year, suddenly became the go-to piece for designers from Los Angeles to Brooklyn. How disappointing to put all that work into a project and then feel like a key component is nothing more than a carbon copy! Having the same piece as everyone else also pretty much guarantees that you are going to get sick of it faster. Buying something vintage solves that problem—it's uncommon to see the exact same piece twice, much less hundreds of times. Aside from a few extraordinary companies who are achieving a net zero carbon footprint, even sustainable manufacturers leave a mark on our planet. That's not to say that they aren't doing a lot of extraordinary things, like creating jobs and producing eco-friendly goods that are safe to bring into our homes. But, from time to time, I just like to feel like my purchase results in no new ecological damage, whatsoever (save for the 1/8 tank of gas I use to go pick it up). The footprint of that old table or chair was made decades ago— and my purchase relives a tiny bit of the demand for new production. Gold star for me. This is really what inspired Trove Market. The founders love hunting for diamonds in the rough, and so do I. When you find the perfect vintage treasure at the perfect price, you feel like you hit the jackpot. It's a feeling worth chasing. Kelly LaPlante is a sustainable designer, entrepreneur and journalist. She is the author of écologique: the style of sustainable design (2008) and was the founder and Editorial Director of Standard Magazine (2010-2013). Currently, she enjoys serving as Guest Editor at Trove Market. You can find Kelly at kellylaplante.com, or via Instagram and Twitter @kelly_laplante. The average person's supermarket experience has evolved into quite the quest. After a day filled with endless choices, the idea of having to make yet another one can seem daunting. I often find myself standing in front of a wide array of colorful cans trying to decide whether to buy the $2.89 can of tomatoes or the $2.99 one. I'm then posed with the simple but equally daunting question: organic or conventional? By the time we reach adulthood, we've heard countless facts and myths about nutrition that make figuring out the best option exhausting. But, there's hope. Here are some helpful insights for venturing back through those supermarket doors. Choosing to purchase an organic product is more than simply buying a particular fruit or vegetable. By buying organic, you are supporting a particular process, which affects farmers, land and nutrition. Land used to grow organic produce is held to higher USDA [United States Department of Agriculture] standards than conventional farms. Organic farms meet standards that provide benefits to both future generations and wildlife. The production of organic foods reduces the use of pesticides and eliminates the use of GMOs [genetically modified organisms] in and on foods. These details may feel far removed or disconnected from our everyday lives. It's hard to fully grasp the importance of this choice when many of us are far from farm life. It's the classic 'out of sight, out of mind' idea. We at deliberateLIFE are trying to bring it back into view. We believe it's something worth talking about. Pause for a moment and try to visualize the actual farms. You can even go visit one! Take your family, a friend, a nephew or niece and check out what an organic farm looks like and why it's valuable to both our personal health and environmental sustainability. Many people (USDA included) refer to buying organic produce as a 'gateway' into other healthy habits. Research has begun to persuade people that organic foods contain higher levels of nutrients than conventional foods. Researchers at UC Davis discovered that organic tomatoes produced more flavonoids, Vitamin C, and phytochemicals than conventional tomatoes did. Phytochemicals exist in a variety of foods, and are considered to help with disease protection. Within the umbrella group of phytochemicals, flavonoids are the most diverse sub-group. Flavonoids are thought to have antioxidant, anti-inflammatory, and cardiovascular benefits, to name a few. Because buying organic produce supports better land maintenance, animal treatment, and pesticide reduction, We the Deliberate believe that it is a choice worth making. Buying organic transforms the mundane and potentially tedious task of grocery shopping into a do-good opportunity. So next time you walk through those oh-so-familiar doors, take a deep breath. Don't sweat the small stuff. Enjoy being informed and living well. Today is Fashion Revolution Day. Celebrated every year on April 24th, Fashion Rev Day marks the anniversary of the disaster in Dhaka, Bangladesh two years ago when Raza Plaza building collapsed on top of the factory garment workers inside. 1,133 people were killed and 2,500 injured. The building collapsed due to poor working conditions and unstable building infrastructure. The clothing workers were not provided with a safe place to work, which we believe is a basic human right. Compelled to help care for the workers in this industry, Fashion Revolution was created as, "a global coalition of designers, academics, writers, business leaders and parliamentarians calling for systemic reform of the fashion supply chain." Many of us are familiar with the term 'sweatshop' or the phrase 'unfair working conditions' from conversations about fashion brands that needs to be more socially responsible. Yet, the reality of this issue doesn't always quite sink in until a tragic event like the Raza Plaza building collapse occurs. Much of this problem comes from the gap between people who make clothes and those who buy it. It's an issue of disconnect. Similar to Fashion Revolution, deliberateLIFE believes that positive change in the fashion industry must begin with taking the time to know the human faces, hands, and hard labor behind our clothes. That's why this year, deliberateLIFE is joining Fashion Revolution by asking #whomademyclothes? To raise awareness, Fashion Rev is encouraging people to wear their clothes inside out to spread the word about the importance of knowing who made your clothes. Join the revolution. Flip your shirt or sweater inside out, snap a photo and post it on Instagram or Twitter with the hastag #whomademyclothes. Above, two members of the deliberateLIFE team show their support by turning their garments inside out. What's Consuming Our Fresh Water Supply? When attempting to live a more water-conscious life, many of us automatically think of taking shorter showers, turning the faucet off while brushing our teeth or letting our lawns brown. These are all worth while tips! However, after writing our Making Water Conservation The Norm post, I continued researching and came upon some astonishing numbers. Below is a comprehensive list containing the amount of water (per gallon) required to produce particular foods (per pound). We have also included tips on how to change eating habits in order to save water, care for ourselves and care for the earth. Beef requires 1,847 gallons of water per pound. This number is especially relevant for California where 80% of the world's supply of almonds are produced. This fact, coupled with it's increasing demand, have added difficulties to ending California's drought. Hazelnuts & Walnuts: 1,260 gal/lb. Keep in mind, vanilla beans are often used in very small proportions. Work on developing trends in your eating habits. Eat less animal products and processed foods. Instead, eat more plant products. This will help you save water and eat well. 1. Put your jeans in the freezer. If your jeans have an undesirable odor or you're worried about their color fading with too many washes, place them in a plastic bag and put them in the freezer. The cold temperature will fight off the bacteria causing the smell. Doing this allows you to wash your jeans less. Both you and the environment win! *For explicit directions on how, check out this video from Apartment Therapy. To get out unwanted armpit stains use lemons or baking soda. For especially tough marks, put baking soda and water on the stain, let it soak in for a few minutes and then wash.
3. Use Hairspray Or Clear Nail Polish. Snagged your tights and worried that they'll rip? Spray hairspray or paint clear nail polish on the tears to keep them from running. 4. Shave Off The Lint & Fuzz. Got a bunch of loose lint and fuzz on your sweater, jeans or jacket? Use a razor to shave them off and restore it back to its non-linty greatness! Then, use tape to take off any left over pieces. *Note: the blade on the razor will only take off the surface level fuzz. There are a plethora of tasty fruits and vegetables that are ready for the picking this time of year, as you may have seen in our two previous spring-spirited posts. Here to help you utilize your knowledge of what's in season, we've composed a list of recipes from simple to more complex. Prep time & cook time: 2 minutes to 2 hours. It all really depends on you. Total Time: 10-15 minutes There are a plethora of tasty fruits and vegetables that are ready for the picking this time of year, as you may have seen in our two previous spring-spirited posts. Here to help you utilize you r knowledge of what's in season, we've composed a list of recipes from simple to more complex. Prep time & cook time: 2 minutes to 2 hours. It all really depends on you. In a bowl, mix the following ingredients. Heat 2 tbsp. butter in a 12″ skillet over medium heat; add garlic, season with salt, and cook, stirring often, until soft but not browned, about 3 minutes. Add peas and cook until bright green and tender, about 4 minutes. Stir in remaining butter, along with lettuce and 1 tbsp. water, season with salt and pepper, and remove from heat. Stir until lettuce is just wilted, about 1 minute. In a separate bowl, stir mayonnaise and sugar until smooth. *Tip of the trade: the recipe can be easily doubled, if you would like more of this tasty goodness. Filled with delectable fruits of the season, you can feel happy about both the health benefits and flavor packed into this smoothie. Want to make it vegan or lactose-free friendly? Swap out the skim milk for almond, soy, or rice milk. Fill the blender with all this refreshing ingredients and blend until the liquid has smoothed. Feel free to alter the ice input based on desired consistency--thinner or thicker. This recipe is a healthy make-over of a family favorite recipe. Slow Cooker Method: Coat the slow cooker with cooking spray. Add all ingredients except the red bell pepper. Stir to combine, cover and cook until heated through. 1 & 1/2 to 2 hours on high, 3 to 4 hours on low. [Recipe can be doubled]. Oven Method: Preheat oven to 350 degrees Fahrenheit. Set aside half of mozzarella and Parmesan cheese. In a large bowl, stir together all remaining ingredients but the red bell pepper. Spoon mixture into greased or sprayed 1& 1/2 to 2 quart baking dish. Sprinkle top with remaining cheeses. Bake uncovered for 25-30 minutes of until bubbly and golden. To Serve: Sprinkle cooked dip with diced red pepper, if desired. Serve warm with crackers, tortilla chips, pita chips, crostini, or raw vegetables. looking for a healthy alternative? Try Arrowroot! Mix the rhubarb, strawberries, sugar, cornstarch of arrowroot, lemon juice and cinnamon in a bowl. On lightly floured surface, roll our half of the pastry and line a 9-inch pie plate. Spoon in the filling from the bowl. Roll our the pastry for top crust: using pastry wheel or knife, cut into 1-inch wide strips. Beat eff and brush pastry rim with some of the egg. Gently weave strips over the pic to form lattice; trim and flute the edge. Brush lattice with the rest of the beaten egg. Sprinkle top with sugar if using. Bake on a baking sheet with the sides in the oven for 15 minutes. *Tip of the trade: If you do not have a cookie sheet handy, make a drip catcher out of foil paper, larger than the bottom of thepie plate, and place it under the pie plate and up the sides loosely. Reduce heat to 375 degrees and bake for 50 to 60 minutes more or until rhubarb is tender, filling is thickened and crust is golden. 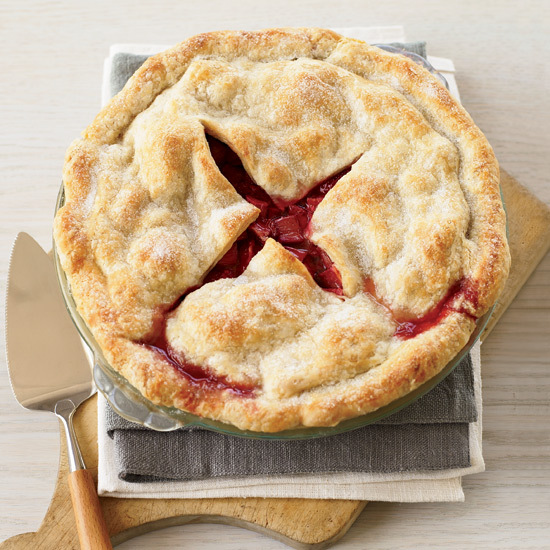 Let the pie cool off for 15 to 20 minutes before cutting. Enjoy the nutrient-rich ingredients and taste! For those of us near the west coast, spring is finally here. This means new colors, warmer weather, and new fruits and vegetables. For your spring know-how, we have compiled a list of fruits that are at their peak during this time of year. Strawberries are accessible all year-round, but hit their most prime season from April to June. Health wise, they have a good source of fiber, manganese and potassium. They are also high in vitamin C which is an antioxidant and helps promote immunity. Sweet Cherries are only available during the late spring and early summer so eat up while you can! These juicy delights are high in potassium and fiber, low in calories. Pineapples are best during April to May. The Hawaiian ones are considered the freshest, especially those marked with a ‘Jet Fresh’ tag on them. This means (as one might insinuate from the tag) that they were flown over (if you’re not in Hawaii) by a jet and are only 2-3 days old—in terms of when they were plunked from their plant. That’s right! Pineapples come from leafy plants, not trees. Oranges: Navel, Blood, and Valencia Oranges are currently in season. Navel Oranges are in peak season from March to April, and Blood Oranges are in their prime only during March. Valencia Oranges, often referred to as summer oranges are actually in season as early as March until August. These fruits are a great source of vitamin C, a good source of B Vitamins (including: B1, pantothenic acid and folate), Vitamin A, calcium, copper, and potassium. Grapefruit are in season from winter to early spring. They are high in Vitamin C and contain the antioxidant lycopene (only found in pink and red grapefruit). Lycopene has a high ability to help fight off oxygen free radicals which damage cells. When you choose to buy and eat what is in season, you support our environment and your own health. Enjoy! By Annmarie Rodriguez. || We've all heard that we need to drink 7 glasses of water a day. When I started at deliberateLIFE, I decided to calculate my ideal daily water intake. Based on my calculations, my ideal daily water intake is 9.5 (based on the weather, my level of physical activity and my body weight). I am far from reaching this goal, so I decided to challenge myself for a week. They say it only takes 10 days to create a new habit, so a focused effort seemed the best way to begin shifting my behavior. It wasn’t too bad today. As long as I kept my Nalgene (a water bottle equivalent to 4 cups) within viewing distance, I naturally remembered to keep drinking. I got through about two Nalgene's = 8 cups. But once the bottle was out of sight, it was harder to stay on track. Based on the amount of fruit and vegetables that I ate, I think I wasn't far off for day one. Good start! Today was a bit tougher. Amidst the hustle n’ bustle, I forgot to keep my water bottle nearby. I did remember, however, to keep pouring myself glasses of water. Pouring, not drinking. I came back to my room at the end of the day and was surprised by the pile of cups that had formulated on my desk: 1 Nalgene, 1 mug, and 4 glasses-all of which were still pretty full. Determined to meet my ideal intake, I sat down and drank them all before bed. I don’t think I’ve ever felt so full from water. Although, I reached my water intake for the day—I do not recommend this method. I woke up several times during the night to use the restroom. Note To Self – drink your water during the day. It was hard to drink water today because I still felt full from chugging so much water from the night before. Despite feeling a little full, I still wanted to reach my daily intake. My Nalgene was nearby, but as I zoned in on work, I seldom remembered to drink water. I almost reached my daily intake, but fell a few cups short. Today went well. I kept my water bottle on me most places I went. I finished my first Nalgene (4 cups) by the early afternoon and finished my second before I got ready to go to bed. In addition, I made sure to eat fruits and veggies that had high concentrations of water. Today was the best yet in terms of consistent water intake. The habit of hydration is slowly settling in. Though I was able to drink a sufficient amount of water today it has yet to feel like a natural part of my daily routine, but I’m enjoying the process. It has only been 5 days and I feel a healthy difference. My lips are less dry and in general, this challenge has made me more aware of what I put in my body and the importance of intentionality. Throughout this week of trial and error, I have realized the importance of strategy. Whether it’s placing sticky notes in your office, setting alarms on your phone, or keeping your favorite reusable water bottle nearby--tangible reminders can help you to live a healthy and happy life. This past week the new staff got (cute) glass mason jars with lids and glass straws (cuts down on exposure to plastic toxins). The rest of the team has been using these jars to keep themselves on track with their water intake, and I can see why. Having something that you don't mind having out on your desk or in your hand when you walk to a meeting, definitely helps keep water in sight. Several teammates swear by drinking out of a straw. (Our Editor, Fay, can regularly be caught at her standing desk sucking down 3 cups of water while typing away). I am getting through 6-7 cups at the office, which helps avoid the late-night chug. My body is getting used to being hydrated and I now notice when I haven't drunk enough water. A good sign that a new habit is forming.